The Doorways safehouse redesign was such a great project to get me through the D.C. winter. It was so wonderful to meet so many designers, many of whom I had heard of for quite some time. 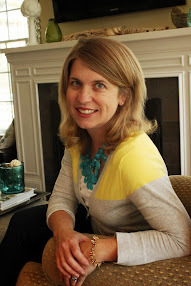 Today I am featuring Anna Kucera of Gracious Living by Design. Anna is such a sweetheart and was one of the first designers to respond to my plea for help on this project! When we met, we realized that one of our good friends was once her landlord... small town! The room was most clearly in need of usable storage. The small nightstand was not really working as a storage piece. They needed more places to keep things (that was a theme in all of the bedrooms). The closets are very small so they do not offer much help - considering these families have most of their personal and treasured belongings in this one small space. That dresser folds down to be a desk which will be great for extra toiletries for anyone who doesn't want to use it as a desk. I have to call out the muralist, Brian Cantwell, who did an amazing job in this space. The room is so cheery, calm, and beautiful!